Трикотажная фабрика Сторм Групп теплые шапки. Более 10 000 шапок! The picture was painted in November 1888 at Aries where Gauguin arrived on Van Gogh's invitation. It depicts the interior of a cafe owned by J. Ginoux, whose wife is also portrayed here. A preliminary drawing for the Moscow canvas portraying Mme Ginoux is in the Hanley Collection (Bradford, Penn., USA). Several oil copies of this drawing were made by Van Gogh. 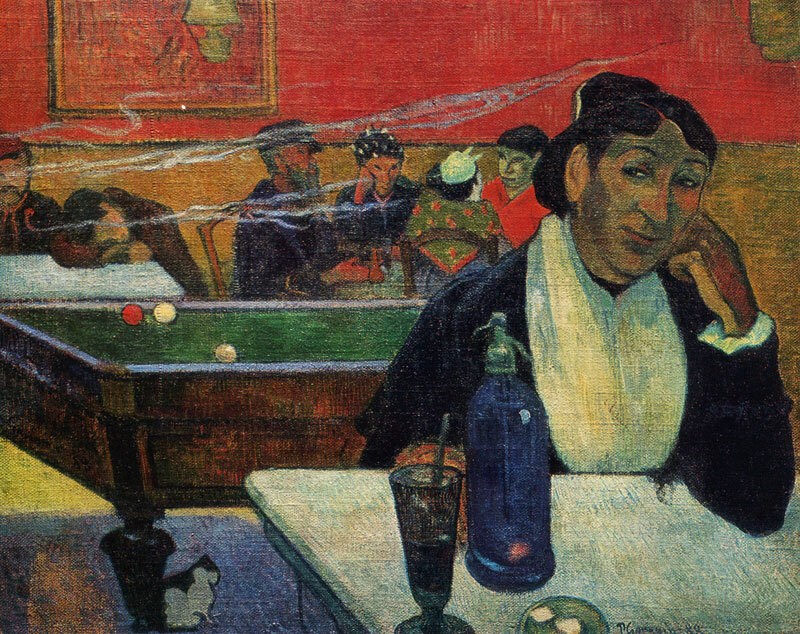 Gauguin describes Cafe at Aries in a letter to Emile Bernard dated November 1888, in which he mentions all the persons depicted, except for the postman Roulin, seated on the right; he can be recognized from a portrait painted by Van Gogh. 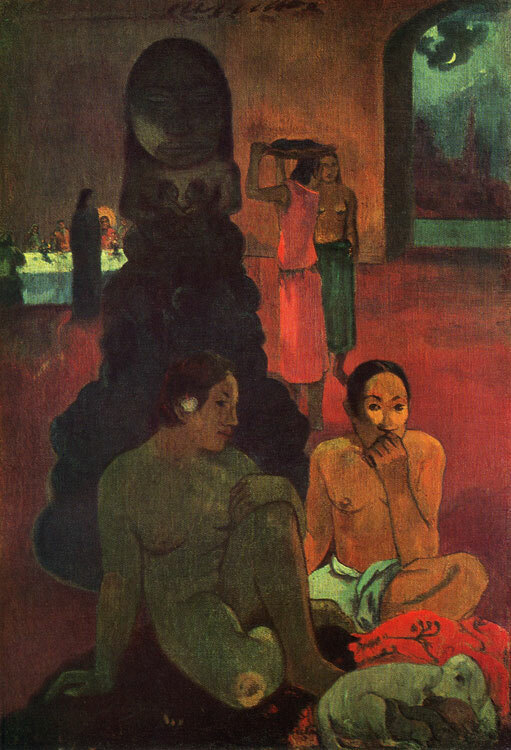 An Arlesienne resembling Mme Ginoux figures in Gauguin's picture of 1888, An Old Arlesienne (The Art Institute of Chicago), and the zincograph The Spinsters (1889). 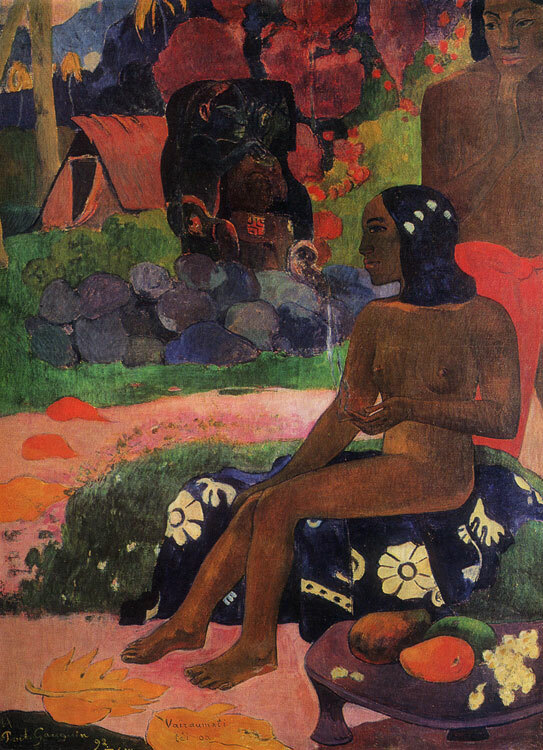 There are many sketches of Arlesian women resembling Mme Ginoux in Gauguin's notebooks (R. Huyghe, Garnets de Gauguin, Paris, 1952, p. 19). Paris; 1908—18 The S. Shchukin Collection, Moscow; 1918—48 The Museum of Modern Western Art, Moscow; since 1948 The Pushkin Museum of Fine Arts, Moscow. 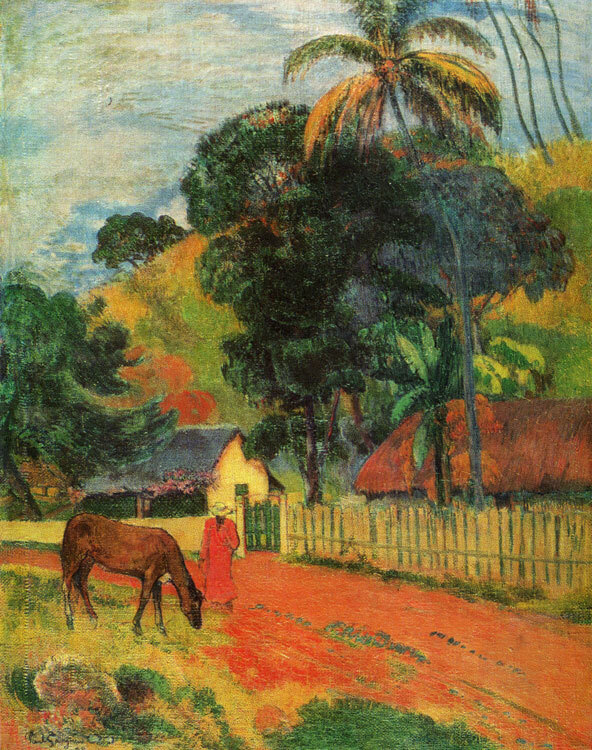 The picture was painted during Gauguin's first Tahi-tian period. The Tahitian word Matamoe is usually translated as dead or alien; in this latter meaning it probably refers to the peacocks, which, according to Maori legends, were not original inhabitants of the islands. This is the first of Gauguin's works bought by Ivan Morozov. Exhibitions: 1893 Paris, Cat. 2; 1895 Paris (Hotel Drouot), Cat. 4; 1906 Paris (Salon d'Automne), Cat. 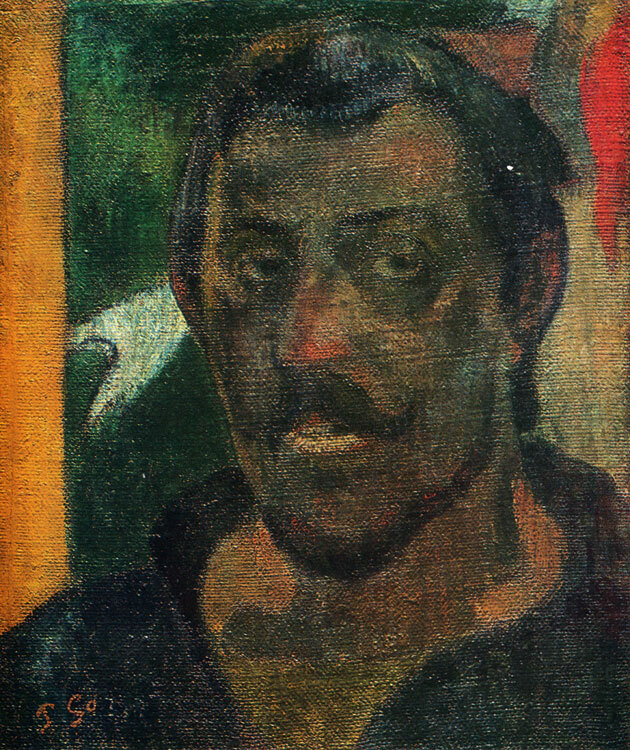 76; 1926 Moscow (Paul Gauguin), Cat. 8; 1939 Moscow, Cat., pp. 21, 49; 1955 Moscow, Cat., p. 27; 1956 Leningrad, Cat., p. 16; 1967 Montreal, Cat. 89; 1974— 75 Paris (Grand Palais), Cat. 190 bis; 1975 Moscow Bibliography: Кат. ГМИИ 1957, p. 38; Кат. ГМИИ 1961, p. 54; Rotonchamp 1906, pp. 119, 134; Гоген 1914, pp. 29—31; Маковский 1912, p. 20; Ternovetz 1925, p. 471, ill. p. 476; Кат. ГМНЗИ 1928, No 107; Reau 1929, No 849; Cahiers d'Art 1950, p. 341; Musee de Moscou 1963, p. 182, ill.; Wildenstein, 1964, pp. 195—196, No 484, ill. 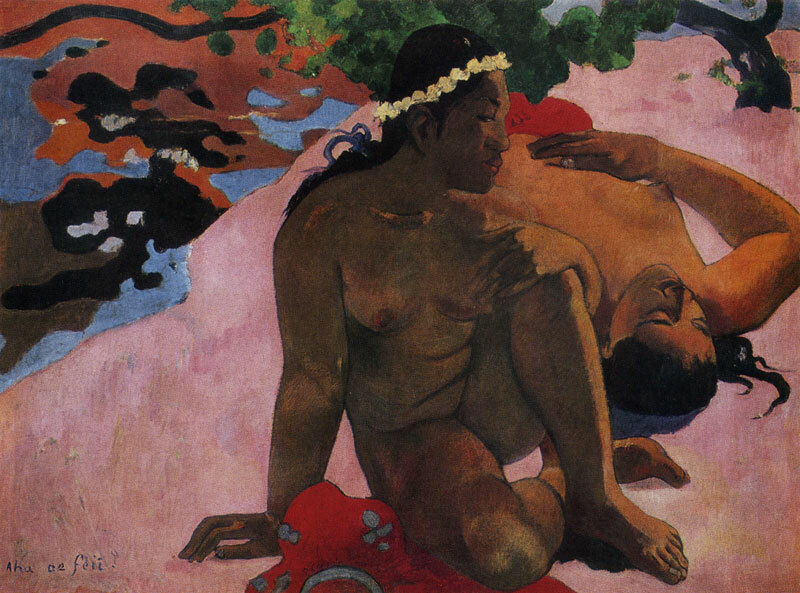 The picture was painted during Gauguin's second Tahitian period. 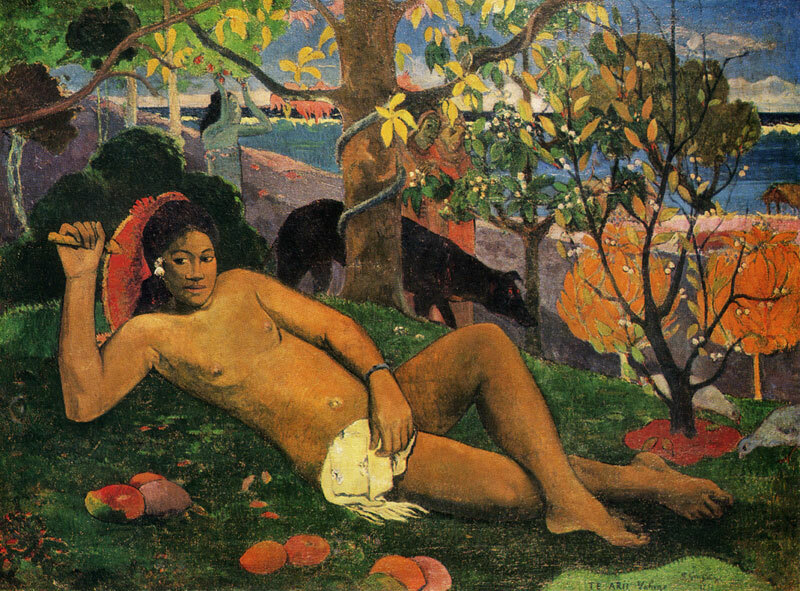 According to Perruchot, the model for this canvas was Gauguin's vahine Pau'ura. 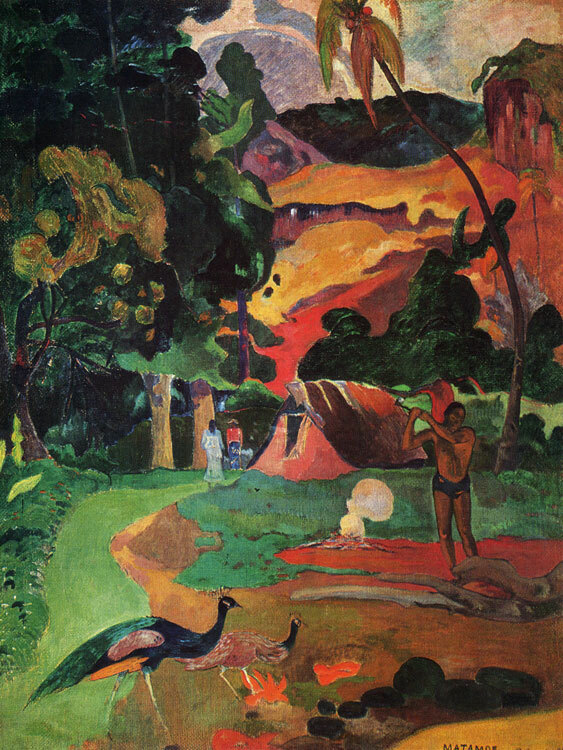 Describing the picture to Daniel de Monfreid, Gauguin wrote: "I think that in color I have never before achieved anything of such a majestic deep sonority." There is a watercolor done from the Moscow picture in the W. Chaney Collection in New York. A variant of the work (according to Wildenstein, a study for the Pushkin Museum canvas) is in the J. Thannhauser Collection in New York. Gauguin used the same subject in his woodcuts and wood sculptures. Signed and dated lower left: P. Gauguinj99 The picture is stylistically typical of Gauguin's works of the 1890s. After 1898 the artist frequently painted many-figure scenes of a religious and philosophical character ( The Last Supper, 1899, in the Kathie Gra-noff Collection, Paris). The Great Buddha was bought by Ivan Morozov from Ambroise Vollard for 20,000 francs. Oil on canvas. 94 X 73 cm. Inv. No 3263 Signed and dated lower left: Paul Gauguin 99 This picture was among the works Gauguin sent from the island of Dominique to Europe shortly before his death. 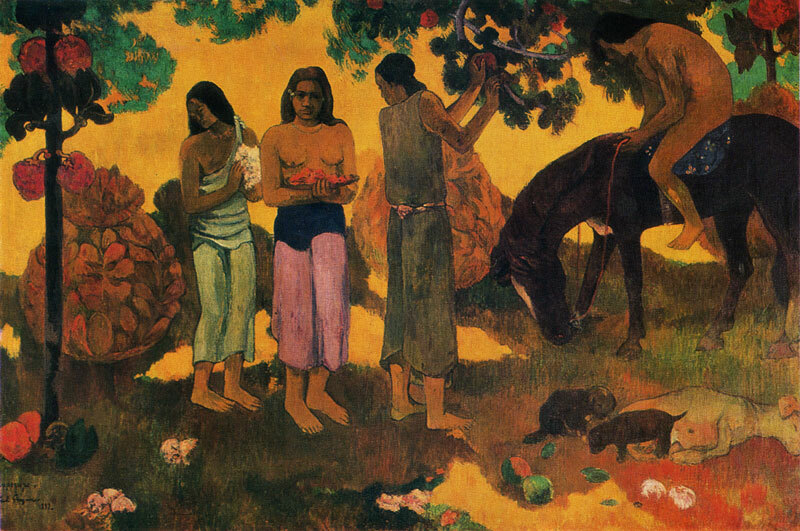 and sent by Gauguin in April 1903 to Daniel de Monfreid to be sold. The picture in part repeats the large panel of 1898, Preparations for a Feast (Tate Gallery, London). Gauguin also used this subject in his woodcuts, monotypes and drawings (the latter for his manuscript Avant et apres): In 1903 the artist sent Gathering Fruit to Daniel de Monfreid in Paris, asking him to sell it to Georges Fayet (Gauguin's letter to Monfreid, December 21, 1903). Bibliography: Кат. ГМИИ 1957, p. 38; Кат. ГМИИ 1961, p. 54; Кат. собр. С. Щукина 1913, No 24, pp. 8—9; Тугендхольд 1914, p. 38, ill. p. 50; Grautoff 1919, ill. p. 90; Перцов 1921, No 24, p. 108; Тугендхольд 1914, p. 48; Ternovetz 1925, ill. p. 475; Кат. ГМНЗИ 1928, No 98; Reau 1929, No 840; Cahiers d'Art 1950, p. 341; Wildenstein 1964, p. 247, No 585, ill.
Oil on canvas. 62 X 76 cm. Inv. 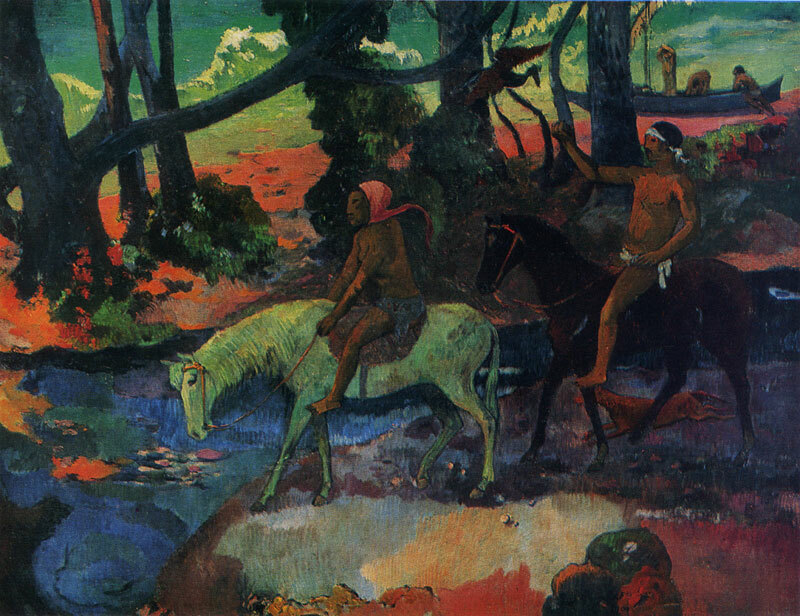 No 3371 Signed and dated: Paul Gauguin 1902 The picture was painted on the island of Dominique. A variant of the same year is in the collection of E. von der Heidt at Ascona (Switzerland). 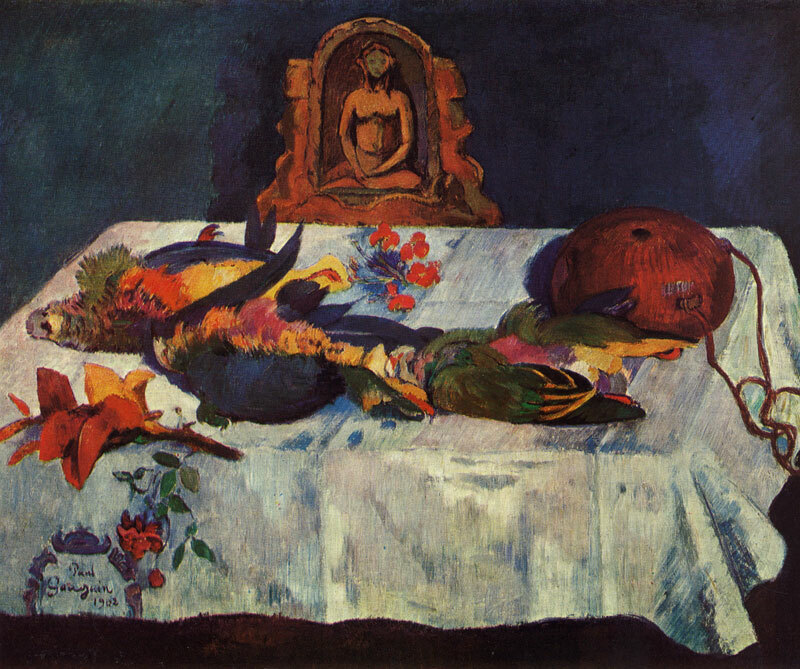 Bengt Danielsson believes that the still life was painted during the artist's illness, when he was not able to leave the house, and that the sculpture of Buddha depicted in it is an earlier work by Gauguin.